One way to get a little extra profit out of your retail arbitrage items is to strategically package them together. Sometimes, this might just be packaging multiple quantities of the same item together. Amazon calls this a “Multi-Pack.” An Amazon customer might find it more appealing to buy a multi-pack of 4 boxes of crackers for $16 instead of buying them individually for $5 each. Another great strategy is to package different (but complementary) items together which Amazon refers to as a “Bundle.” A bundle might be something like a toothbrush holder, a soap dispenser, and a shower curtain all in the same pattern (and sold as a single item). The terms get confusing sometimes, but that's how Amazon classifies them. I admit that I am personally guilty of calling multi-packs “bundles” when I am talking about packaging them up. When you ship your bundles and multi-packs into Amazon FBA, it's important that they all be packaged together as a single unit. If you just ship your items in separately, Amazon won't know what to do with them when they arrive at the warehouse. The last thing you want is a customer expecting to receive four boxes of crackers and only getting one in the mail! I created a video to show four different ways you can package up your bundles and multi-packs. The first video is with 3 of the same items (a multi-pack). I find myself reaching for the self-sealing polybags most often. They're incredibly easy to use and you can get them with the Amazon-compliant suffocation warning printed right on the bag. Another must-watch video is Amazon's own video training on how to package items sold as a set. You'll see in the video that the “do not separate” or “sold as set” labels are essential and required by Amazon. If you don't include this on your packaging, Amazon might charge you an extra fee for doing the prep for you. If you're ever in a bind because you've run out of “do not separate” or suffocation warning labels, you can always print your own on a Dymo or with regular 30-up label sheets. I just find that I use the pre-printed ones often enough to justify the low cost! This video also answers another common question about packing items in poly bags for Amazon FBA: your Amazon barcode label must be scannable without opening or removing the packaging. The safest way to ensure that this is possible is to put your label on the outside of the packaging. 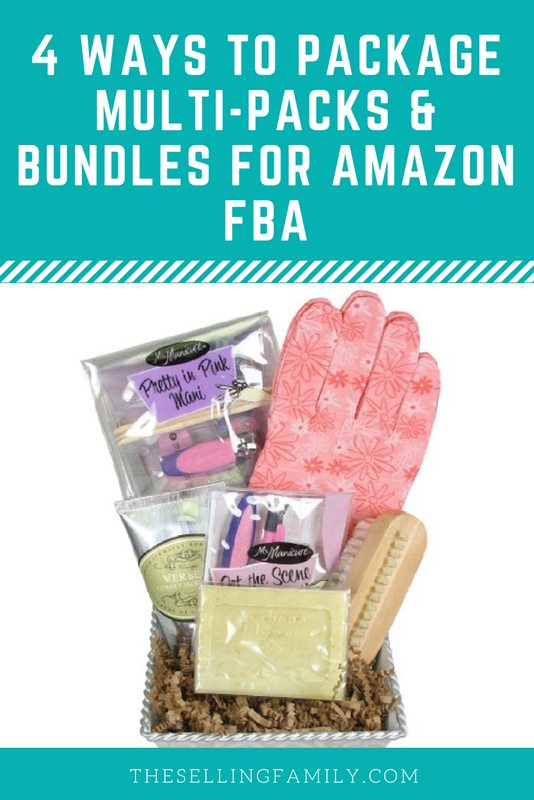 If you explore Amazon's FBA Video Tutorials, you'll see that there are other times you might need poly bags and warning labels besides bundles and multi-packs. This video demonstrates how to package clothes, fabric, plush, and textile products for Amazon FBA. Here are the exact tools I use when packaging products for FBA. You can buy all of them from Amazon if you click on the links below. This is a pack of 400 poly bags in 4 commonly-used sizes: 6×9, 8×10, 9×12, and 11×14. These already have the suffocation label printed on them and they have the self-stealing strip. This is also for a pack of 400 poly bags (100 each of 6×9, 8×10, 9×12, and 11×14) but they do not have the self-sealing strip. You would need to tape these shut or use an impulse sealer. Used to seal poly bags or shrinkwrapped items. 525 feet of 75 gauge shrink film for use in an impulse sealer. A heat gun is used for shrinking down the shrinkwrap. You might also find that it comes in handy for removing stubborn labels from retail packaging! This listing is for 1,000 feet of 5″ stretch wrap. You will need these labels if you are using stretch wrap, shrink film, or clear poly bags that do not already have the suffocation warning printed on the bag. This listing is for 2 rolls of 500 labels. These stickers are the easiest way to comply with the Amazon rules for properly labeling your multi-packs and bundles. This listing is for 2 rolls of 500 labels. I hope this helps get you going with multi-packs and bundles! They can both be profitable additions to your inventory and they make great replenishables, so don't let a fear of packaging hold you back! What are your favorite methods for packaging your bundles? Share any tips in the comments below! I don’t see anything in your presentation that explains how to list a multi-pack if I don’t find my multi-pack already listed on Amazon. Can you explain the listing process for my new multi-pack? Sorry, I do not have any tutorials for creating listings at the moment. Hi Jessica, Thank you for this very helpful article. I have a question relating to the packaging. Do you know if it has to be transparent or are opaque bags okay? Also is it imperative that they are plastic or do you know of any alternative bundling options? Thanks! do you know of a reliable company in Delaware that will do this for me at a decent price? This video was so helpful! I am wondering what the requirement is for expiration date labels? I am new to grocery and want to be sure I start off correctly. Do the sold as a set labels have to be a different colour to the suffocation labels or can they both be white? Any color is fine for the suffocation labels and set labels. Jessica, in packing groceries should I use poly bags or shrink wrap? I have started using poly bags for most everything now because it is so fast! I’m hearing that only manufacturer’s created multi packs will be allowed on FBA. Is this true? I’ve just sent a bunch of multi packs and this new wrinkle has me more than a little concerned. The rules of creating new listings has been re worded. I wouldn’t worry about listings that are already on Amazon. Thank you. Very helpful info. Just one question though. . . you are putting stickers on your packages and then saying that they are ready to go . . . “just get your Amazon sticker” What are you referring to? the barcode labels? thanks again. Again thanks for the great information. I’m looking doing multipacks of things like boxes of fruit snacks, and I’m trying to figure out if I have to completely enclose the box within a bag or stretch wrap, or if it can just have some stretch wrap wrap around it a couple times? Any thoughts on that? I am getting ready to pack some items to ship for fba and I realized the expiration date is only the month and year. I know I need to put a label on it with the format MM-DD-YY. What should I do? Is it okay to assume it’s the 1st or last day of the month? What do you do in these situations? Do you need to wrap food multi-packs? I added a listing to Amazon but it didn’t seem to require wrapping. Multipacks all need to be packaged together. If a listing exists for the same number of the product you are going to sell, do you have to use the existing listing? The one I’m looking at is not nearly as clear as the way your video suggest we set up the title, size, number of items, etc. Can I create a new listing that provides better detail? Do I have to use the existing listing? Is it better to stick with the existing listing anyway? Thanks for this super helpful video. I’ve been reading lots of stuff but it’s good to finally see it in action! Here’s a question – Of those 4 methods you show above, which do you prefer and why? Hi,Jessica,the poly bags you sell are all have self seal strip? I don’t know what’s the difference from resealable and open end, which one has self seal strip? resealable are the ones with the strip at the end to close them. the open end would need to be sealed with an impulse sealer. Is it ok that I don’t use warning label and ” do not separate” sticker when I FBA to Amazon? Thanks! They are required by Amazon. If you don’t put the suffocation warning, they may start charging you every time that they have to add it for you. On the do not separate sticker, you risk them opening the package (IDK why they would, but it really has been an issue). Do you have to buy and use the pre-printed “suffocation” and “do not separate” stickers? I am preparing my very first shipment and only have one pack containing 3 items. Am I allowed to create my own stickers? Thanks for all your help! You rock! Hey Jenn, you can print them yourself using the 30 up avery labels or a dymo printer. Let’s say I have 4 boxes I am going to make a 4 pack. Could I package in one box and put the amazon sticker and do not separate sticker on the outside? Is that okay to do for FBA? Yes that is how you would do it 🙂 If it expires, make sure to also put an expiration date on the outside. Thanks for the video’s would you happen to have any info how to go though the listing process for multi-packs of the same item? I am new at FBA and have a question about bundling. I understand that if the bundle doesn’t exist on Amazon then I need to buy a UPC code. I also need to cover the UPC codes on the products within the bundle. But then what? Where do I put the UPC label? Does it go on the outside of the package? What about the label that you print out through seller central? Thank you for your help! You don’t need to actually print that upc code you used for the listing. Just put the amazon label on the outside and cover the inside UPC codes with blank labels. jessica I notice you covered one of the upc codes with the suffication label….but didnt on the others with 3…if they have to be covered you dont put more of those labels do you…I use IL and use the dymo label on one but didnt know how to do it with more than 1? Thanks. 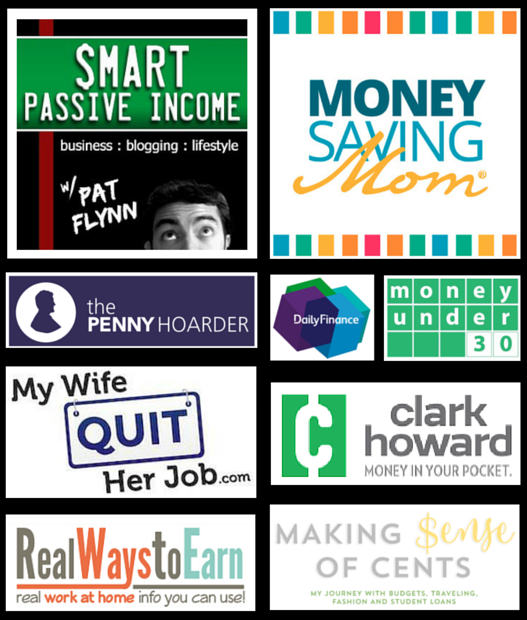 I cover all the UPC codes, either with one of the labels that has to go on, or with a blank label. It just depends on how many labels that specific package needs. Jessica, what are the 3 sizes of the 300 bags you are offering for sale? In my last shipment, I sent in a new bundle that I had to buy a upc for etc. with some retail arbitrage products. Do you know if there is an approval process or delay for new bundles, for everything shows received in the shipment except for the new bundles I created? I’m wondering if I may have done something wrong or if there is an approval process if they get a new bundle? Good info Jessica, thanks for posting! I have 4 items that are all the same FNSKU and the labels on the product have the Amazon bar codes. I’ve put the 4 items in a clear bag, sealed it up, and placed the do no suffocate sticker and the do not separate sticker on them. If the Amazon bar code is clearly scannable through the bag on one of the items, do I need another Amazon bar code sticker on the outside of the bag? The Amazon rep said I didn’t, but I wanted to get your opinion. Hey Jessica, thanks so much for sharing. You can’t imagine how timely your videos are for me! However, I have 1 question: You have 3 items. But only covering 2 barcodes. I know the stickers (from Amazon) with the barcodes are taped to each bundle. So, what covers the 3rd barcode on the product? Thanks in advance for reply!! Do the polybags have to be “Clear”? It would seem that maybe the black bags would solve the issue of the barcodes having to be covered. Or is that not cost effective or available? The link above: 16″ polyolofein shrink film from Amazon doesn’t appear that is what you use. That is CF (centerfold) and comes in half, which is 8″ folded and is not sealed on the sides. Glad I didn’t order this. Can you give the correct link for what you actually use? You must have put the wrong link in. Thank you much. This was perfect’ I always love to see videos on how others prepare their items for FBA. I like to see efficient ways and extra tips to make my multi-packs. Thanks Jessica for the sharing the videos. Just a request… I’m assuming sometimes you have to get new upc codes if the bundle is not already offered. Could you address your method of doing that. Such as where you buy them ,etc. Thank you for bringing that up Scott. I will address that in the next couple of days. A quick answer is I get mine from ebay. But, I will go over in more detail. 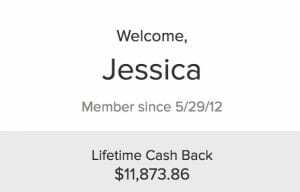 New to your site, and just wondering if you had posted anything on the topic of buying UPC codes. Thanks Jessica! This was so timely for me. While perusing the grocery ads today something caught my eye and I thought I’d look it up on Amazon. Wow! Couldn’t believe what this item, which I pass by every week, sells for on Amazon. I was wondering how I’d package them to sell as a multi-pack. You answered that question for me! Thanks again. You’re very welcome! Good luck with that item. sounds like a perfect item to add to your replenish-able items (or a first). Could you share what gauge shrink wrap you use. Looking at placing my first order and a bit confused by all the different weights. Thanks. Hi Beth. I use the 75g. I think the one in the link above is the same one that I use. have a good day.